It’s always an interesting discussion with non-technical people involved in contracting for power supply. Energy contracting is oftentimes the responsibility of personnel who are not familiar with the price dynamics of the power markets. The conversation will typically start with “we use a lot of electricity…..we should see a great price”. While that may be true, it’s not necessarily the magnitude of usage that drives the price, but the consistency and level of demand. What’s the difference between demand and usage? 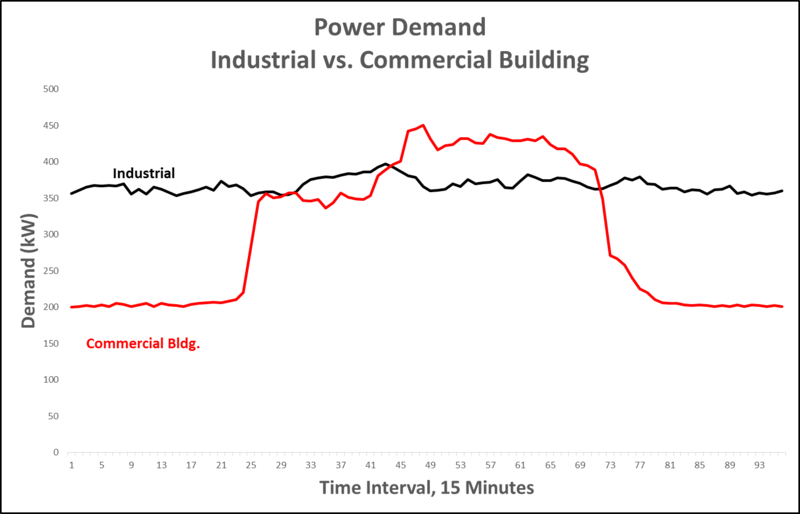 Power demand is the amount being drawn from the grid at any point in time; usage is the aggregate of demand across time. A consistent or flat demand profile, meaning a higher load factor, will command a better price than that associated with a low load factor. So why is that? Even as crude oil and natural gas prices begin to rebound from their recent lows, we are seeing continued financial stress in the oil & gas sector. In recent months, Linn Energy, Chaparral Energy, Penn Virginia, Halcón Resources, and Breitburn Energy Partners have all filed Chapter 11. Financial concerns are not confined to the Upstream segment as Midstream players such as Plains All America Pipeline and Azure Midstream have seen their bonds downgraded by the rating agencies. Massive contrast between colder than normal temperatures in Nov-2014 and above normal temperatures in Dec-2014 have caused very high price volatility in the Natural Gas futures market. Shifts in weather forecasts and record production have been the main price action drivers during the first half of the winter. 2014-2015 Winter Weather, What to Expect? A brutal cold start of the year has been followed by moderate temperatures across the country. 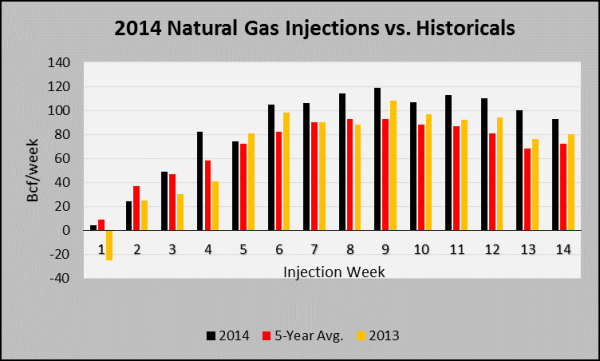 Natural gas prices have risen significantly since early January 2014, as inventories were being depleted at a faster than normal rate due to higher than normal heating demand. Nevertheless, record production and tepid demand after the spring months triggered a massive selloff in mid-June 2014, with the front month losing more than 20 percent to date. Early concerns of tight supply conditions ahead of the next heating season have eased due to weekly record or near-record injections. Electricity prices have also plunged not only because of the recent drop in natural gas prices, but also because of a drop in heat rates. 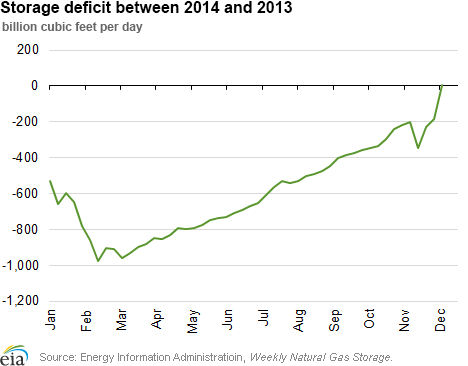 In Texas, peak load had not been this low in June and July since 2010. 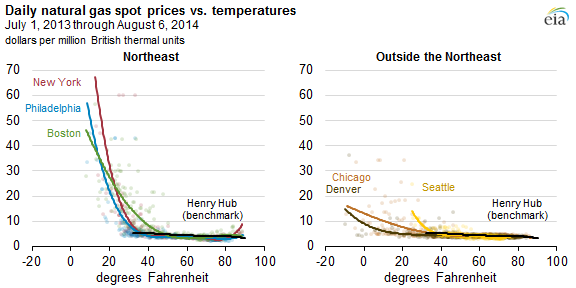 Low electricity demand has depressed spot and forward heat rates. Energy Future Holdings-Is a Bankruptcy Filing Looming? During this winter season, natural gas price volatility has been extreme as temperatures have fallen to unprecedented levels due to the breakdown of the polar vortex. Low temperature records were broken across the U.S., natural gas heating-related demand has risen and natural gas inventories have been depleted at a faster rate when compared to historical benchmarks. 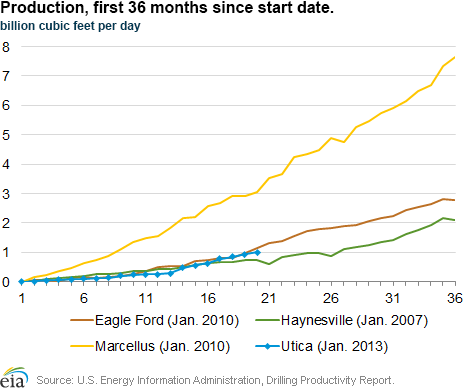 Nevertheless, natural gas has not been the most volatile commodity in recent years according to the U.S. 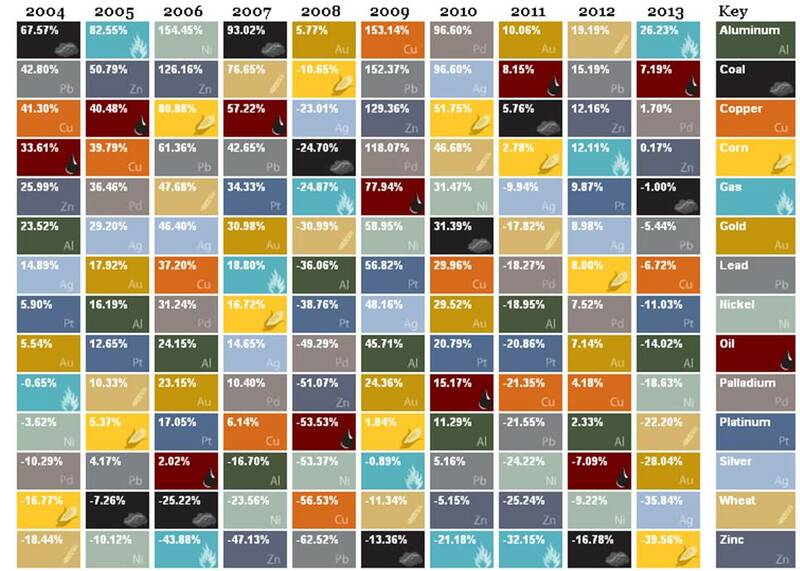 Global Investors Periodic table of Commodities Returns. In the last 10 years, the most and the least volatile commodity returns have been registered in Nickel and Gold respectively. Crude Oil has been a top three performer in four of the last 10 years, while natural gas has only been in this category two out of the last 10 years. 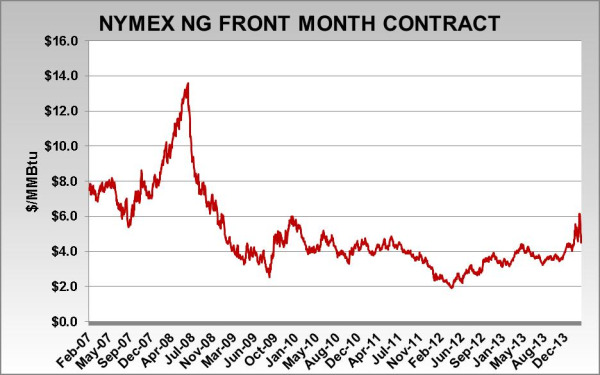 On January 2, 2014, the NYMEX Henry Hub NG February-2014 (front month) contract settled at $4.321/MMBtu, and on January 29, 2014, the contract expired at $5.557/MMBtu (see chart below). This was the highest expiration settlement price for the front month in four years. During the month of January, the front month contract rose $1.24/MMBtu, or 28.6%. The chart below shows that on expiration day (1/29/14) the front month price posted a $0.52/MMBtu or 10% gain for the day. The March 2014 contract followed suit and rallied almost 11%, settling at $5.465/MMBtu. During the expiration day, weather forecasts turned colder than previously expected, so market players that underestimated demand rushed to the market and were clobbered in a short squeeze. Visit the Acclaim Energy "Industry News" page to stay-up-to-date on the latest news and events happening within the energy industry.